Apple has been relatively fixed and conservative in iPhone design in recent years, but now a new patent shows that the fuselage of future iPhone models will usher in major color changes. A new Apple patent has shown that the company is preparing a change in the design of its next phones. Where has a new technology, the color of the back of the phone can change as it moves, and becomes a feature of the company’s application. From quite many years we have seen the same design of all the iPhone models. However now, it seems like the new iPhone model will get the new design as well. 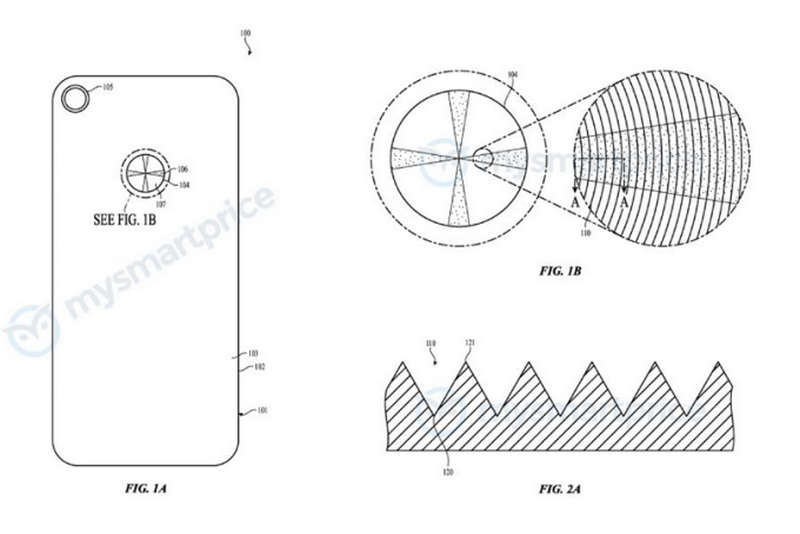 Apple Latest Patent Hints New look of Future iPhone Models. A new patent awarded to Apple indicates that future iPhone models will look like the Huawei P20 Pro with the gradient finish on the back of the device. The patent named Surface Finishing. The Apple latest patent also reveals how Apple will change the look of the surface underneath the outer glass shell of a future iPhone model. This will create rainbow effects, gradients and other designs that shift the color on the back of the device. According to the story found in MySmartPrice, the patent envisions the use of computer numerical controlled (CNC) milling to create grooves on the surface of the device. These grooves change the way light reflects off of the product. Instead of using a sandblasting technique, Apple would use ceramic beads to change the grooves to produce a controlled color shift that would appear when the device is moved even slightly. However, the gradient fuselage is not so unique in the market, manufacturers from China, including OPPO, vivo, Huawei, Glory and Xiao MI and others have already introduced smartphones with a faded back, which with the irradiation of the differ ray and Angle appear changeful effect. Seems like Apple is more and more like to join to other mobile phones, rather than the early one alone showing in the market, but what’s the attitude of the fans & users all over the world? It is unknown now.